From I-4, take Exit 67 toward Epcot/Disney Springs. Then follow the signs directing you to merge onto East Buena Vista Drive. The special effect photo booth has left Super Hero Headquarters. Maria & Enzo’s Ristorante, Enzo’s Hideaway Tunnel Bar, The Edison and Paddlefish will all feature special Easter dishes . Disney Springs now has three parking garages for easy parking during the busiest times. There is a new locational Disney Springs to get assistance with theme park ticket purchases. I spent Sunday, April 19th through Tuesday, April 21st in the Downtown Disney area for business (at the Hilton across the street), and was amazed by the great new changes that have occurred there! I've been an Orlando resident most of my life, and frequented Downtown Disney as a great place to spend a day off. Everything that was wrong with the 'old' Downtown Disney: HORRIBLE parking; not many good food options; and occasional severe crowding... is all being addressed with the new Disney Springs. The parking garage alone was a marvel to use! It made parking - something that was once an actual headache! - into something fun and unique!! I loved it! We ate at the VERY newly opened Boathouse, and enjoyed every bite of it. If you go, please try the mac-and-cheese, it was heaven in a bowl. After walking around a bit, we enjoyed the outdoor entertainment at House of Blues, and then settled in for some drinks at the waterside bar behind the new Boathouse. It was a great visit, and I can't WAIT to see the rest of the updates and additions! WELL DONE DISNEY!! And THANK YOU!! Disney Springs, announced on Thursday 14 March 2013, is the expansion and redevelopment of Downtown Disney that will see it approximately double in size. Construction begins in April 2013 and will be complete in 2016. LAKE BUENA VISTA, Fla., March 14, 2013 – Walt Disney World Resort today announced the multi-year transformation of Downtown Disney into Disney Springs, a unique destination that will treat guests to significantly more shopping, dining and entertainment amid beautiful open-air promenades, meandering springs and waterfront charm. Disney Springs will feature an eclectic and contemporary mix from Disney and other noteworthy brands. From boutique shops to unique flagship anchor stores, guests will be able to explore a variety of shopping, dining and entertainment experiences and discover options unlike any other currently available in Central Florida. Disney Springs will double the number of shops, restaurants and other venues for guests to explore, resulting in more than 150 establishments. In addition, Staggs noted, Central Florida stands to benefit from the expansion with more jobs, tax revenues and business opportunities. The Town Center, which offers a sophisticated mix of shopping and dining along with a promenade where guests can relax, refresh and reconnect. A colorful and thriving commercial district called The Landing with inspired dining and beautiful waterfront views. The family-friendly Marketplace that will continue to delight guests of all ages by combining new experiences, such as an over-the-water pedestrian causeway, along with classic Disney favorites, including an expanded World of Disney store. A West Side that provides an exuberant atmosphere with lively entertainment, along with a series of new elevated spaces that provide both shade and an overlook to the activity below. Collectively, these efforts will not only have an impact within Walt Disney World, but will also have an economic ripple effect on Central Florida. The project will create an estimated 1,200 construction jobs and nearly 4,000 operational roles. Disney will share more details on specific experiences coming to Disney Springs in the future. Construction is slated to begin next month with new areas opening in phases. 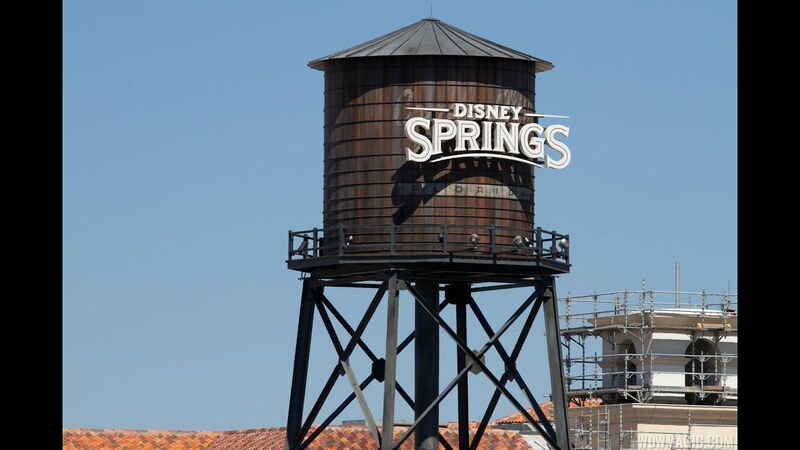 Disney Springs is expected to be complete in 2016. What new additions are already open? When does construction of Disney Springs start? Construction began in April 2013 and is due to be complete in 2016. What is currently under construction? 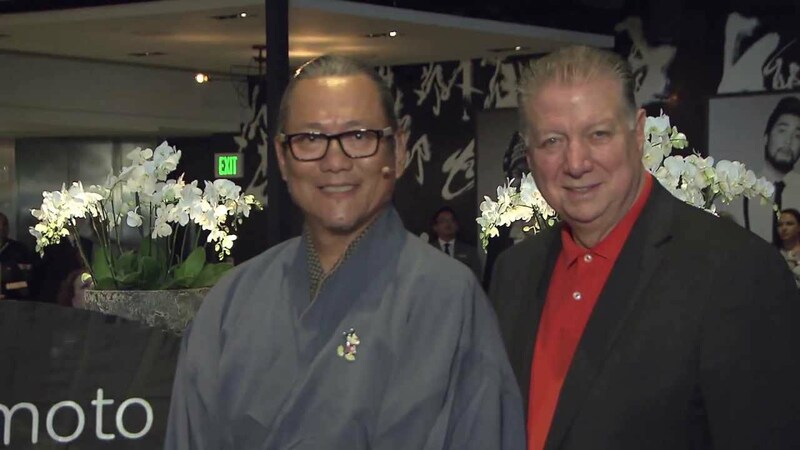 What stores and restaurants are coming? How big will Disney Springs be? The expansion will approximately double the number of shops and restaurants at Downtown Disney. World of Disney will be expanded. Which parts of the existing Downtown Disney will remain and what will be completely new? The Marketplace and West Side will remain, Pleasure Island will become 'The Landing'. 'The Town Center' area will be completely new, built on former parking areas. The Marketplace will be updated, and will feature a new causeway bridge connecting the Rainforest Cafe area to the TREX area. The West Side will have new elevated spaces above the current area. How will parking at Disney Springs work? There will be two multi-level parking structures built, one on the Marketplace side, and one of the West Side. This will give a total parking space of around 6000 spaces. There will be no charge for parking. Are there any changes to parking? Parking lots H, I, J,K are all permanently closed to make way for the new West parking garage structure. These are the lots from Planet Hollywood all the way to Disney Quest. Entrance 3, which is located between Planet Hollywood and AMC Dine-In Theaters, is now exit only. The internal road which connects entrance 3 to entrance 4 that runs behind AMC, Splitsville and Disney Quest is now closed to all guest traffic, and will remain closed until the West parking garage is completed in late 2014. Where can I found out more or ask questions?